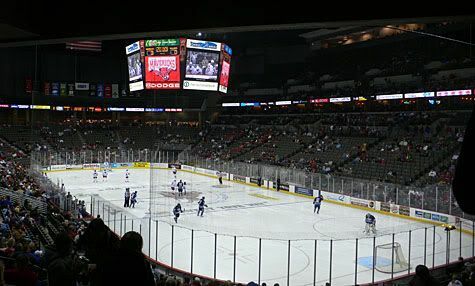 I went to my first ice hockey game to see Mr. K’s nephew Al’s team play at the Qwest Arena in Omaha. 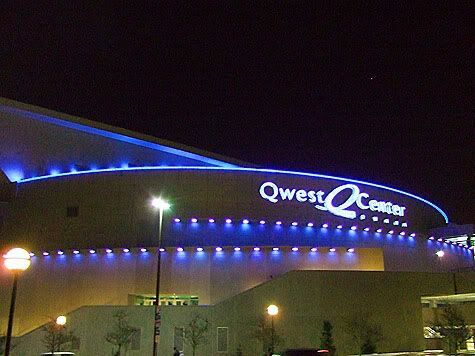 We stayed overnight at the Hilton that is attached to the complex by a skyway, although I wanted to walk outside a little beforehand to see how cold it was and to get a picture of the blue lit stadium from across the street. I was surprised at the crowd that showed up for a college game, especially during the holiday break, but it hockey is a very exciting spectator sport and pretty easy to figure out. The arena is new and according to the website, can be transformed from a hockey rink to a basketball court in less than one hour! 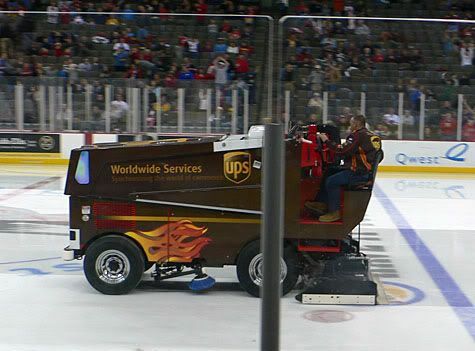 We had a great time, especially since Al’s team won and I got to see a real zamboni. We met up with him for dinner after the game, sometime after 10 pm (good thing my stomach has been on pacific daylight time) and we wanted to have steak since we were in Omaha. 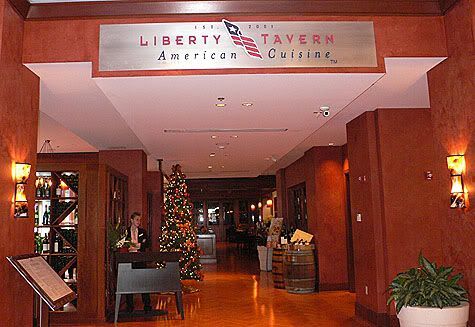 We were relieved to see that the Liberty Tavern in our hotel was open and serving dinner until 11:00 pm. I had read some good recommendations about the Chef Glenn Wheeler who is active with the James Beard foundation and Save our Strength, another good food cause. 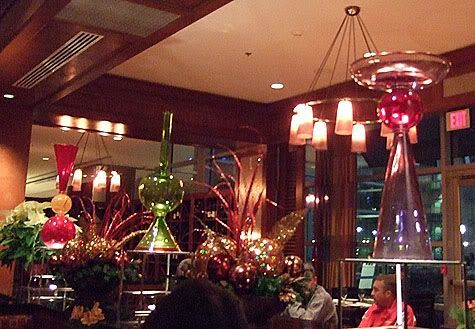 The dining room was very empty and I think we were the only table being served at that time and we had the best waiter who restored our faith in table service in Omaha after the lame waiter at lunch. I like that they offer full descriptions the various stages of doneness, they must have a lot of confused people trying to order them well done. We went with medium rare. 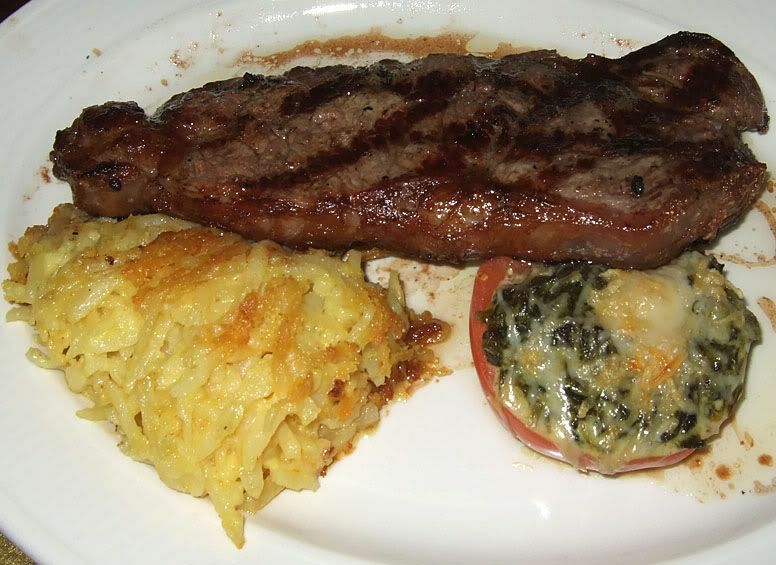 All of our steaks are fired in our 1700º Broiler. The broiler sears the exterior of the steak from every angle ensuring that none of the precious juices escape. This allows all of the marbling to marinade the meat and create the perfect steak. Below, you will see how we prepare our steaks to temperature. 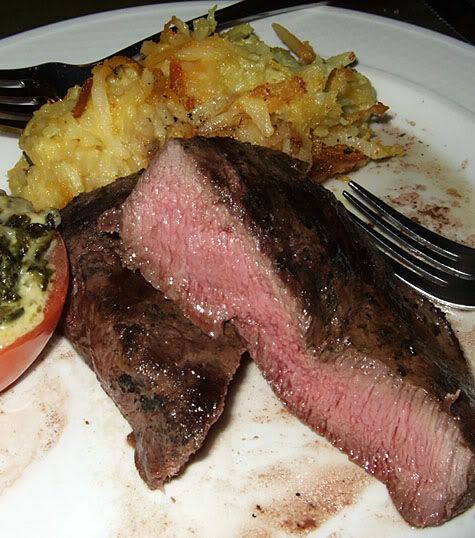 Al had a T-bone Steak that was served with Feta au Gratin Potatoes that were delicious and Tomato Florentine that was not. Why, you ask? Well, it had a strange fishy taste to it… nothing more than that, but tomatoes should not taste fishy! 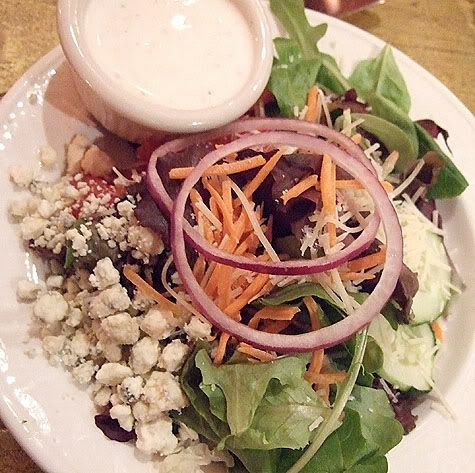 We split a Liberty House Salad with the black peppercorn, parmesan dressing on the side. This was good, a little dry, but crisp and fresh tasting. 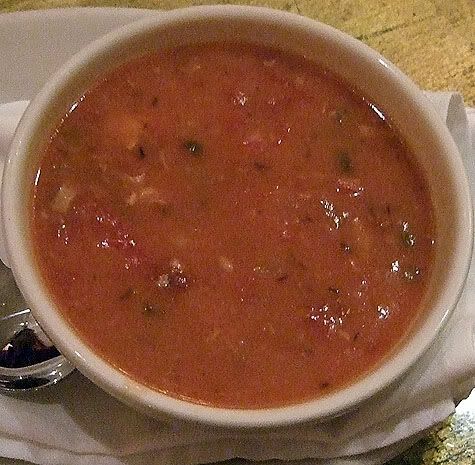 M who always is watching what he eats, had a salad and a cup of the daily soup, which was a Maguro Tuna Chowder made with a tomato base. I dillydallied about the dessert menu unable to decide, and our waiter let us order just a single scoop of caramel ice cream. 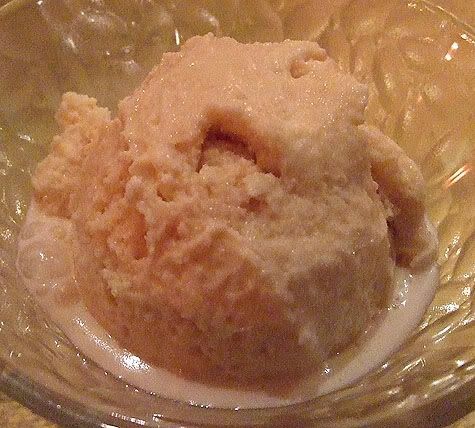 It had a little bit too much ice mixed in, but that made it lighter, which is a good thing when you are eating a late dinner. The menu is modern regional American food and the Seafood Potpie and Meatloaf are supposed to be good, but we really had to have the steak. It was delicious and better than I expected, possibly since we’ve been eating a lot of grassfed beef which is very lean. 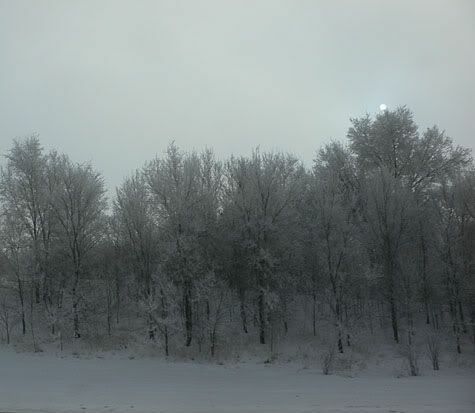 to grey and overcast… It was very humid and the condensation on the trees froze, coating the branches with frost. 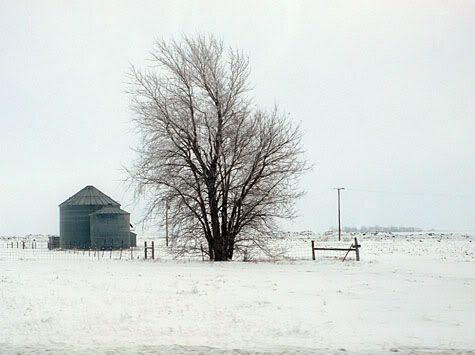 We drove through endless snowy fields through snow flurries. 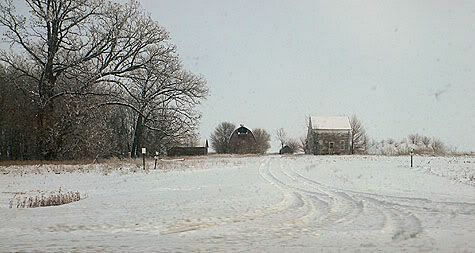 It was very beautiful to watch the changing landscape of the prairie. 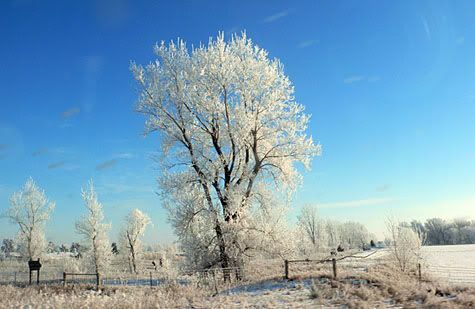 Great Winter snow landscapes pics! It makes you wish it snowed in Shizuoka!